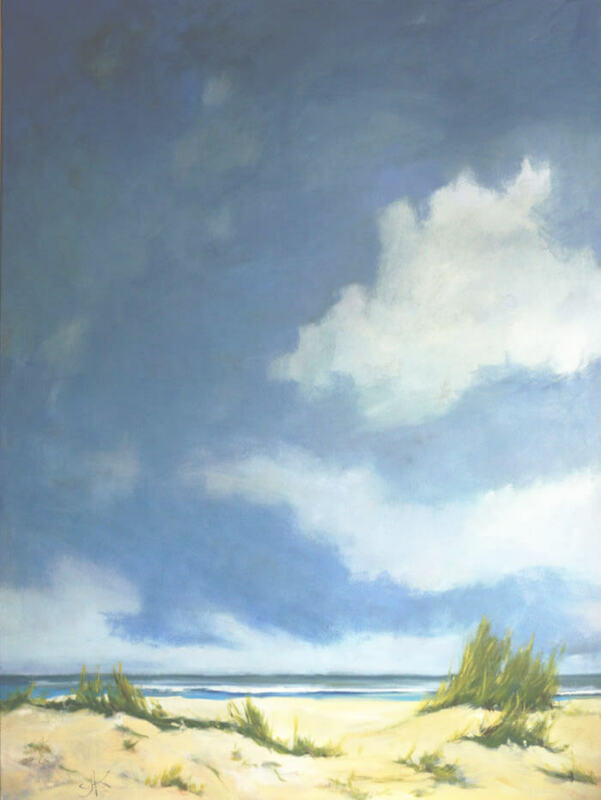 Claire J Kendrick is an artist whose paintings reflect Florida landscapes with bold, rich, beautiful colors. Collectors respond to the contemporary style and the expressive way in which she paints. The big open vistas, beach and the marsh views that stretch for miles are amongst her favorite subjects to paint. Claire J KendrickSeascape SeriesApril 5, 20172 commentsdune, large scale seascape painting. Yes this painting is recent 2017…all the details have been sent to you in a private email. Thank you for your interest in my work.